. One bedroom can fit a king sized bedroom set and the other bedroom can hold a queen sized bed both have great closet space. 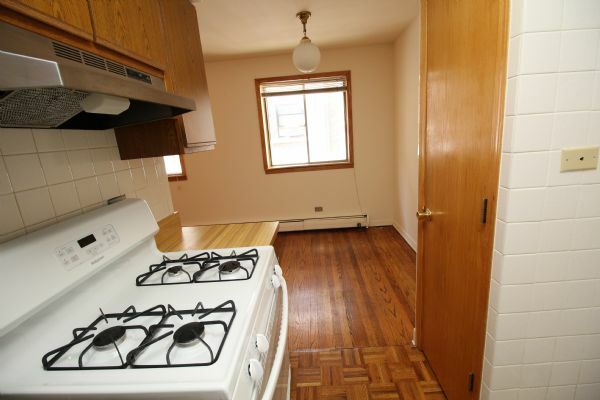 Large living room, separate dining area, wood floors, heat included in the rent. Updated kitchen with a dishwasher.
. Great Location, Steps To The Lake & Ballpark, Heat Included,Super convenient location in the heart of East Lake View, building & unit feature: nice floor plan, hardwood floors, newer kitchen with dishwasher, updated bath, great closet space, heat included, laundry on site, cats OK. Just out your door you have Wrigley Field, lakefront, grocery, shopping, dining, Walgreen's, transportation and so much more. Parking Info: Assigned parking can be rented covered below the building or uncovered behind the building on a monthly basis for additional cost of 230.00 per month covered and 220.00 uncovered. "We put more people in the right place."